Yup, tis basically that, i have a larch and i do not know what to do with it. It has been sat in this pot since i bought it last autumn, not done anything with it yet, i may have taken off one branch that was too close to another, that was it. It doesn't have a front at all, though i prefer some angles to others, does that really matter at this juncture though? What would be best for it, pop it into the ground and leave it for a few years? Chop its trunk somewhere? I don't drink canned drinks, so i have included a bottle of Dior's Poison in one image, and if you don't know how big they are, there is also a little lego minifig of me apparently, holding a camera! Life is all too short sometimes, living in the shadows isn't living at all. Taste the sun and dance in the daylight. Never look back and never be still. Play with fire sometimes but learn when you get burnt, for life is nothing if nothing is learned..... Me! Personally I'd remove the crossing branch on the left on the second picture, one of the branches on the right hand side on the last photo, stick in the ground for a few years to grow more. I'd also recommend growing a sacrifice branch lower down to help with that. Love the little minifig, too! 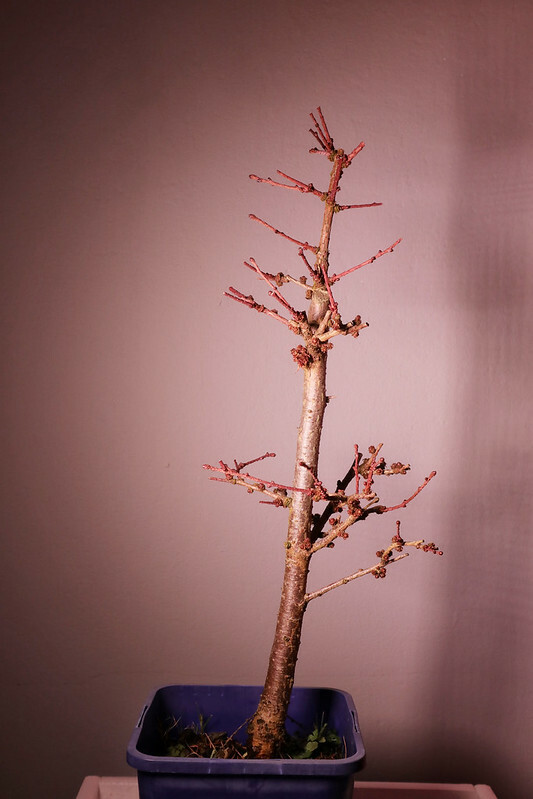 Larch in my experience grow very vigorously and thicken quickly which is good news but they are apically dominant and don't back bud so you need to sure you don't lose lower or inner buds by pruning the top hard to keep strength lower down as you need it. They're flexible when young but take a while to set. You could/should repot this into a larger pot with bonsai soil before the buds emerge. I would also put some movement into the trunk at this stage or chop back to the lower cluster of branches which will give it movement lower down. I’d also chop just above the lower cluster of branches, all of which have plenty of buds to work with. The mid section is too long and uninteresting currently, but could be useful if you wanted a bigger tree in a few years? Tree size is not really a thing for me yet, it can be 5 inches tall or 2.5 meters tall for all i care. The middle does annoy me, its empty and the trunk itself has very little movement, so a cut about 2 inches above the highest branch in that lower grouping, would that be a safe bet for it? 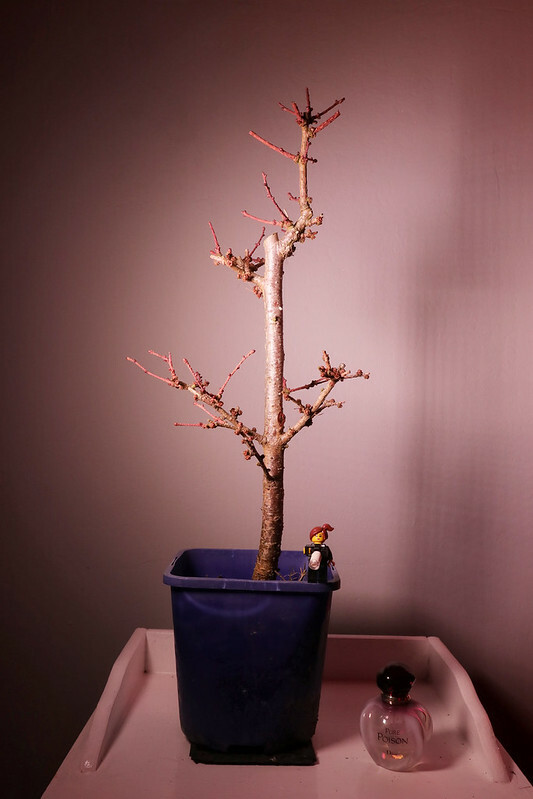 Never experienced die back yet, though time will tell on that front with some of my trees lol i will look at the tree tomorrow and decide which branches would be best removed or not, though i wont be pruning yet, would pruning before a repot be a good idea though? I dont really know how vigorous these are, i guess i will notice more once it is in a bigger pot. more troom for it to grow. I agree, chop above that first node and pick one branch for a new leader. 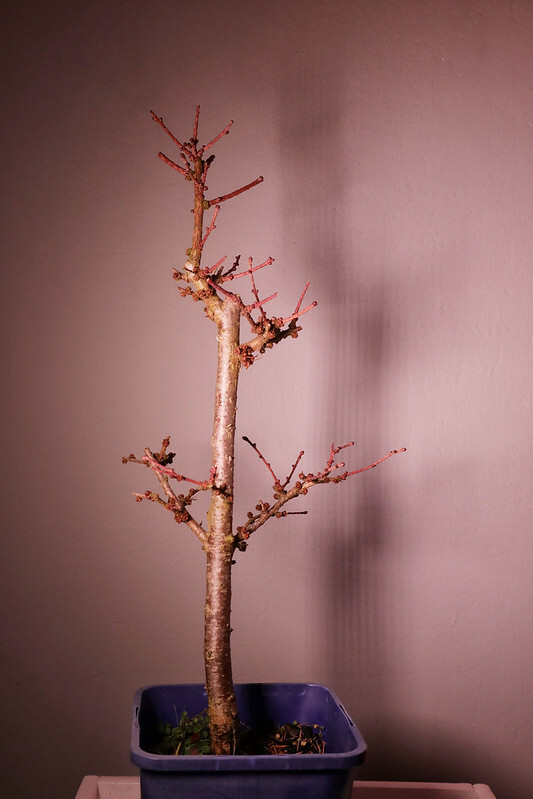 Allow it to grow without chopping off the terminal tip but reducing all side branches from the leader to one or two buds to stop the lower branches losing vigour and being shaded. A rough idea of the final height is really going to help inform your decisions DC - on a 3ft tree that middle section of trunk won't matter a bit, for example, or decide to leave the current leader on as a sacrifice to thicken the lower trunk, but for a smaller tree, chopping can be done before buds swell. 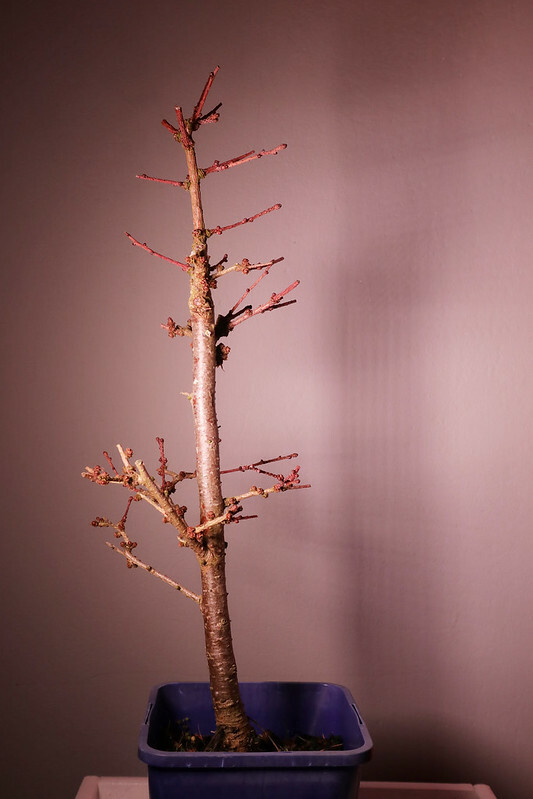 I was lucky enough to start with a larch that had a lot of branches. Honestly I wouldn't know what to do with this one. More growth needs to happen. Which is essentially what is encouraged above. However I absolutely ADORE the choice of items to give a scale. Next time, I shall use a male lego and my Gillette razor! 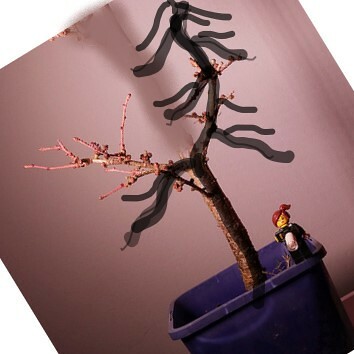 Cut it down to the first set of branches put it in a bigger pot and feed it well. This time next year you will more than enough branches to make a good tree and no big straight piece with out any branches.